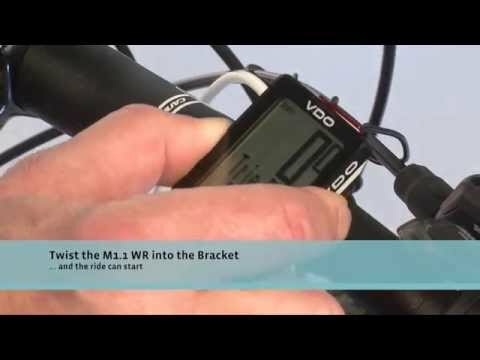 The M1 is a great introduction to the world of cycling computers with enough functions to keep things interesting, but not enough to overwhelm. Set-up is simple, and leads to tracking your key metrics to get faster and go further. Functions include: Current speed, ride time and distance. Battery status display, and continuous data stored during battery changes. Includes: VDO computer, battery, universal handlebar bracket with cable and sensor, 1 spoke magnet (clip magnet), cable ties for attaching the bracket and the sensor, Quick-start instruction manual.